Knit in Falk, Heilo, Daletta or Baby Ull. Note: In the English edition, the gauge used for Falk and Heilo has been relaxed so the sweaters drape more. The yarn has not changed, they are just changing the target gauge. If you want to knit to the old 6 st/in gauge for an 'outdoor' sweater, you'll need to do some recalculating. We do not have a specific Sochi patch, but you could use the standard shield patch on your garments. 12 remaining17 garments for men or women, to knit in a variety of DaleGarn yarns. to knit or crochet in a variety of DaleGarn yarns. Includes hats, cowls, scarves, mittens, headbands, slippers, socks, and a shawl. 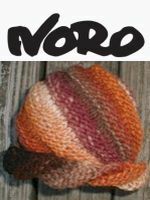 Includes hats, cowls, headbands, wrist warmers, bracelets, and a scarf.